Traditionally during Lent, especially on the Fourth Sunday in Year A, we hear the story of the man born blind, from the Gospel of John. When a parish community has members in the RCIA, this gospel is proclaimed. I love this gospel! We know the story: man born blind, waiting by pool of Siloam with no one to lead him to the pool when the waters are rippled with the Spirit of God. Jesus takes pity on the man, mixes his saliva with some dirt, applies mixture to man’s eyes and tells him to go wash in the pool of Siloam (which means sent). Man cured. Viola! Now, the rest of the story. The man’s neighbors are confused. “Isn’t this the one that used to sit and beg?” (John 9:8) Some said “yes” others said, “It looks like him.” “Who did this for you?” they ask. “I don’t know, some man named Jesus,” comes the response. They bring the man back, question him all over again, and still his response is the same. They accuse Jesus of being a sinner. The man replies, “If he is a sinner, I do not know. One thing I know is that I was blind and now I SEE. Go ask him yourselves. Why do you want to hear it again? Do you want to become his disciples, too?” (John 9:25, 27) They threw him out of the temple. Out of SIGHT, out of mind, or so they hoped. He walked into the LIGHT — they chose to remain in the DARK. I hope and pray to meet that man someday. Here was a man who knew who he was. A sinner, blind since birth, given his sight back by God, a true worshipper, a man of faith, a man simple of heart and spirit. He knew who he was! I’m still trying to figure myself out. How about you? Father James McDonald professed vows as a Redemptorist in 1984 and was ordained to the priesthood in 1990. He is currently stationed at San Alfonso Retreat House in Long Branch, NJ. 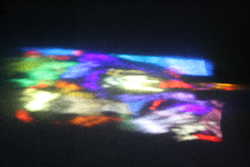 A New Look at Life — Transfiguration, Wow! Where Am I With God? Listen.